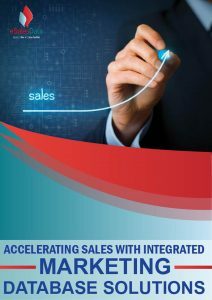 With years of domain expertise and experience in the B2B space, eSalesData has proven its worth since the very inception. As a marketing database provider, we offer accurate and customized data to support the multichannel campaigns of business-to-business marketers. Our database covers a wide range of specialties across various industry verticals. Businesses can leverage our database to target C-level executives and key decision-makers from technology, healthcare, and other domains. Our specialized list helps marketers to target customers by job title, region, gender, and more. With every passing year, we focus more on improving the quality of our lists and try to make it even better. That is why when it comes to quantity and quality, we are unbeaten in the market. Hence, our successful client stories are proof of our excellence in the field of B2B marketing. To get detailed insight on who we are and how we make digital marketing seamless for you, download our Corporate Brochure. This insightful content piece will help you understand how we help marketers with data-driven marketing.